Suominen Corporation (hereinafter “Suominen” or “Company”) complies with the Finnish Corporate Governance Code 2015 (hereinafter “Code”) issued by the Securities Market Association. This Corporate Governance Statement (hereinafter “Statement”) is prepared in accordance with the Code and is published as a separate statement in connection with the Report by the Board of Directors. The Statement has been published simultaneously with the Financial Statements and Report by the Board of Directors as a Stock Exchange Release, and it is available also on Suominen’s website, www.suominen.fi. The Audit Committee and the Board of Directors of Suominen Corporation have reviewed the Statement. The Statement will not be updated during the financial year, but up-to-date information on its various topics is available on Suominen's website. The Finnish Corporate Governance Code 2015 is available on the website of the Securities Market Association, www.cgfinland.fi. Responsibility for Suominen Group's business operations is held by the constitutional bodies required by the applicable laws and regulations. Suominen’s decision-making bodies are the General Meeting of Shareholders, the Board of Directors with its two Committees, and the President & CEO, supported by the Corporate Executive Team and Corporate Leadership Team. The Group's supreme decision-making body is the General Meeting of Shareholders, where shareholders exercise their decision-making power. The Board of Directors is responsible for the Company's management and its appropriate organization. As the Group's parent company, Suominen Corporation is responsible for the Group's management, accounting and financing, product development and management of intellectual property, human resources, ICT, as well as communications and investor relations. While Suominen has two business areas, Convenience and Care, the Company has only one operating segment. Suominen Corporation's highest decision-making authority is exercised by the company's shareholders at General Meetings of Shareholders. These meetings decide on matters specified in the Companies Act, such as the acceptance of the company’s financial statements and the payment of dividends, releasing the members of the Board of Directors and the President & CEO from liability, the election of members of the Board of Directors and Auditors and the compensation they are paid, and amendments to the Articles of Association. An Annual General Meeting is held annually on a date determined by the Board of Directors before the end of April. Annual General Meetings address matters specified as coming within their authority in the Articles of Association and other proposals put before them. Extraordinary General Meetings are convened when necessary to consider specific proposals put before them for consideration. General Meetings of Shareholders are convened by the Board of Directors. Each Suominen Corporation share entitles its holder to one vote. The company is not aware of any shareholder agreements concerning the use of voting rights or restrictions related to the conveyance of its shares. The members of the Board of Directors, the President & CEO, and the candidates nominated for Board membership shall attend General Meetings, unless they can provide good reason for their absence. In addition, the company may, if so decided by the Board of Directors, announce the time and place of the General Meeting of Shareholders as well as the address of the company website in one newspaper in the company's domicile. The Board of Directors' proposals to a General Meeting and the invitation shall also be announced in a stock exchange release. The minutes of a General Meeting are available to shareholders on the company website within two weeks from the General Meeting. Appendixes of the minutes are available only to the extent they describe the actual content of the decision. The Annual General Meeting of Suominen Corporation will be held on Tuesday 19 March at 10.00 am at Finlandia Hall, Helsinki. All materials related to the AGM are available on this page. The Annual General Meeting of Suominen Corporation was held on Thursday 15 March 2018 at 10.00 am at Finlandia Hall, Helsinki. The Annual General Meeting (AGM) of Suominen Corportion was held on Wednesday 15 March 2017 at 10.00 am in Helsinki. All materials related with the AGM are available at this page. Suominen's Annual General Meeting was held on 16 March 2016. All materials related to the meeting are available at this page. The Annual General Meeting (AGM) of Suominen Corporation was held on Thursday 19 March 2015 at Finlandia Hall, at the address Mannerheimintie 13 e, 00100 Helsinki. All materials related to the AGM will be published on this page. The Annual General Meeting (AGM) of Suominen Corporation was held on 26 March 2014 at Finlandia Hall, in Helsinki. All materials related to the AGM are available below. Extraordinary General Meeting of the Shareholders ("EGM") of Suominen Corporation was held on Friday, 31 January 2014 at 4.00 p.m., at Finlandia Hall (Aurora-hall). All materials related with the EGM are published on this page. The Annual General Meeting of Suominen was held on Tuesday 26 March 2013 at 10.00 a.m. at Finlandia Hall (Veranda, hall 4), at the address Mannerheimintie 13 e, 00100 Helsinki. The Annual General Meeting of Suominen Corporation was held today on 4 April 2012. The General Meeting made the following resolutions. The Annual General Meeting adopted the financial statements and the consolidated financial statements for the financial year 2011 and discharged the members of the Board of Directors and the CEOs from liability. The Annual General Meeting decided that no dividend is paid for the financial year 2011. The Annual General Meeting confirmed the number of members of the Board of Directors to be five (5). The Meeting elected Mr Risto Anttonen, Mr Jorma Eloranta, Ms Suvi Hintsanen, Mr Hannu Kasurinen and Mr Heikki Mairinoja as the members of the Board of Directors for the next term of office in accordance with the Articles of Association. The Board of Directors held an organizing meeting after the Annual General Meeting and elected Jorma Eloranta as its Chairman and Risto Anttonen as Deputy Chairman. The Annual General Meeting decided that the remuneration payable to the members of the Board of Directors for the term lasting until the Annual General Meeting in 2013 is as follows: Chairman of the Board annual fee EUR 50,000, Vice Chairman of the Board annual fee EUR 37,500 and other Board members annual fee EUR 28,000. Further, the members of the Board of Directors will be paid an attendance allowance of EUR 500 per each meeting of the Board of Directors held in the home country of respective member, and an attendance allowance of EUR 1,000 per each meeting of the Board of Directors held elsewhere than in home country of respective member. 60 % of the annual remuneration will be paid in cash and 40 % in Suominen Corporation’s shares purchased from the market. PricewaterhouseCoopers Oy, Authorized Public Accountants, was re-elected as auditor for the term expiring at the close of the next Annual General Meeting. The auditor's fee will be paid according to the invoice. The Annual General Meeting approved the proposal of the Board of Directors on the amendment of section 1 of the Articles of Association regarding the name of the company so that the company’s name is Suominen Oyj. The company's name is Suominen Oyj and in English Suominen Corporation. The company's domicile is Tampere. The Annual General Meeting resolved to establish a Nomination Committee comprising of shareholders or representatives of shareholders to prepare proposals for the following Annual General Meeting concerning the election and remuneration of the members of the Board of Directors. The three largest shareholders or representatives of such shareholders are elected to the Nomination Committee, which in addition shall comprise the Chairman of the Board of Directors as an expert member. The Annual General Meeting approved the proposal of the Board of Directors to authorize the Board of Directors to decide on repurchasing a maximum of 3,000,000 company’s own shares. The company’s own shares shall be repurchased otherwise than in proportion to the holdings of the shareholders by using the non-restricted equity through public trading on NASDAQ OMX Helsinki Ltd at the market price prevailing at the time of acquisition. The shares shall be repurchased and paid in accordance with the rules of NASDAQ OMX Helsinki Ltd and Euroclear Finland Ltd. The shares shall be repurchased to be used in company’s share-based incentive programs, in order to disburse the remuneration of the members of the Board of Directors, for use as consideration in acquisitions related to the company’s business, or to be held by the company, to be conveyed by other means or to be cancelled. The Board of Directors shall decide on other terms and conditions related to the repurchase of the company’s own shares. The repurchase authorization shall be valid until 30 June 2013. - by waiving the shareholder’s pre-emption right, through a directed share issue if the company has a weighty financial reason to do so, such as using the shares as consideration in possible acquisitions or other arrangements related to the company’s business, as financing for investments or using the shares as part of the company’s incentive program. The new shares may also be issued in a Free Share Issue to the company itself. New shares may be issued and the company’s own shares held by the company may be conveyed either against payment (‘Share Issue Against Payment’) or for free (‘Free Share Issue’). A directed share issue may be a Free Share Issue only if there is an especially weighty financial reason both for the company and with regard to the interests of all shareholders in the company. A maximum of 50,000,000 new shares may be issued. A maximum of 3,100,000 of the company’s own shares held by the company or its group company may be conveyed. The number of shares to be issued to the company itself together with the shares repurchased to the company on basis of the repurchase authorization shall be at the maximum of 3,100,000 shares. The said maximum number of shares shall include the company’s own shares held by the company itself or its subsidiary as stated in Chapter 15, Section 11, Paragraph 1 of the Finnish Companies Act. The Board of Directors may grant special rights referred to in Chapter 10, Section 1 of the Finnish Companies Act, which carry the right to receive against payment new shares or own shares held by the company. The right may also be granted to the company’s creditor in such a manner that the right is granted on condition that the creditor’s receivable is used to set off the subscription price (‘Convertible Bond’). The maximum number of new shares that may be subscribed and own shares held by the company that may be conveyed by virtue of the special rights granted by the company is 10,000,000 shares in total which number is included in the maximum number stated in section 3. The subscription price of the new shares and the consideration payable for the company’s own shares shall be recorded under the invested non-restricted equity fund. The Board of Directors shall decide on all other terms and conditions related to the authorizations. The authorizations shall be valid until 30 June 2013. The minutes of the meeting will be available on the company's website at www.suominen.fi as from 18 April 2012 at the latest. The Extraordinary General Meeting of Suominen Corporation was held today on 12 September 2011. The General Meeting made the following resolutions. By virtue of the authorisation, the Board of Directors is entitled to decide on the issuance of a maximum of 280,000,000 new shares in one or more share issues against payment. The subscription price of the shares that are issued by virtue of the authorisation shall be EUR 0.45. The subscription price of the shares shall be credited to the reserve for invested unrestricted equity. The Board of Directors has the right to decide on a directed issue in deviation from the shareholders' pre-emptive right, if there is a weighty financial reason for the company to do so. By virtue of the authorisation, the Board of Directors is authorised to decide on all other terms and conditions of the share issue. The Board of Directors will utilise the authorisation for the purposes of a share issue that is required by the transaction between the company and Ahlstrom Corporation, published on 4 August 2011. It has been agreed, as part of the transaction, that the company shall arrange a share issue in which a minimum of 188.888.889 and a maximum of 266.666.667 new shares will be issued. The Board of Directors has received written commitments for a subscription into new shares in the share issue related to the transaction from the following shareholders of the company and investors: Ahlstrom Corporation, Ilmarinen Mutual Pension Insurance Company, Varma Mutual Pension Insurance Company, Mandatum Life Insurance Company Limited, Finnish Industry Investment Ltd, Tapiola Mutual Pension Insurance Company, Oy Etra Invest Ab, Evald and Hilda Nissi Foundation, Heikki Bergholm, and Mikko Maijala alongside corporations under his control. The commitments to subscribe amount to a total of EUR 80,265,000 and they are given on the condition that the conditions for competition authorities’ approval set on the completion of the aforementioned transaction are either fulfilled or are waived. If the aggregate subscription price for all of the shares that are subscribed to in the share issue exceeds EUR 95,000,000, then the commitment to subscribe to shares in the amount of EUR 30,000,000 given by Ahlstrom Corporation shall be decreased by the total amount that exceeds EUR 95,000,000. Ahlstrom Corporation has, however, committed to subscribe to at least the amount of shares necessary in order to guarantee that Ahlstrom Corporation’s ownership in the company is at least 20 % after the share issue. The Board of Directors shall decide on the procedure that will result from a potential oversubscription in the share issue. If an oversubscription in the share issue occurs, it is intended that 50,000,000 new shares will be allocated, in proportion to shareholdings, to those shareholders of the company who on the record date of the share issue, which is to be announced later, are registered in the shareholders' register of the company maintained by Euroclear Finland Ltd. After this, the new shares will be allocated to those shareholders and investors that have given the commitments to subscribe, up to the amount provided in the respective commitments to subscribe. - Section 14 regarding the redemption obligations was deleted in its entirety. The resolution of the Extraordinary General Meeting regarding the amendment of the Articles of Association is conditional and will only come into effect upon the completion of the transaction between the company and Ahlstrom Corporation, announced on 4 August 2011. The General Meeting resolved that the members of the Board of Directors elected at the Extraordinary General Meeting will be paid the following remuneration for a term of office lasting until the Annual General Meeting of 2012: EUR 31,500 for the Chairman of the Board of Directors, EUR 23,650 for the Deputy Chairman of the Board of Directors, and EUR 17,650 for each other member of the Board of Directors. In addition, each member of the Board of Directors will receive additionally an attendance allowance of EUR 500 per each meeting of the Board of Directors held in the home country of respective member, and an attendance allowance of EUR 1,000 per each meeting of the Board of Directors held elsewhere than in the home country of respective member. The remuneration (excluding the attendance allowances) will be paid so that 60 % of the remuneration will be paid in cash and 40 % will be paid in Suominen Corporation’s shares purchased from the market. The resolution of the Extraordinary General Meeting regarding the remuneration of the members of the Board of Directors is conditional and will only come into effect upon the completion of the transaction between the company and Ahlstrom Corporation, announced on 4 August 2011. The General Meeting resolved that the number of members of the Board of Directors shall be five. Furthermore, the General Meeting elected Mr. Risto Anttonen, Mr. Jorma Eloranta, Mr. Mikko Maijala, Mr. Heikki Mairinoja and Ms. Suvi Hintsanen as the members of the Board of Directors. The resolutions of the Extraordinary General Meeting regarding the number of members of the Board of Directors and the election of members of the Board of Directors are conditional and will only come into effect upon the completion of the transaction between the company and Ahlstrom Corporation, announced on 4 August 2011. The General Meeting resolved to establish a Nomination Committee comprising of shareholders or representatives of shareholders to prepare proposals for the following Annual General Meeting concerning the election and remuneration of the members of the Board of Directors. The three largest shareholders or representatives of such shareholders are elected to the Nomination Committee, which in addition shall comprise the Chairman of the Board of Directors as an expert member. The resolution of the Extraordinary General Meeting regarding the establishment of the Nomination Committee is conditional and will only come into effect upon the completion of the transaction between the company and Ahlstrom Corporation, announced on 4 August 2011. The minutes of the meeting will be available in Finnish on the company's website at www.suominen.fi as from 26 September 2011 at the latest. The Annual General Meeting of Shareholders was held today on 30 March 2011. The Meeting was opened by the Chairman of the Board of Directors, Mr. Mikko Maijala, and chaired by Attorney-at-law, Mr. Jukka Laitasalo. The Annual General Meeting approved the financial statements of the parent company and the Group for the financial year 1 January - 31 December 2010 and released the members of the Board of Directors and the President and CEO from liability for the period. The Annual General Meeting decided that no dividend be paid for the financial year 2010. The Annual General Meeting confirmed the number of members of the Board of Directors six (6). The Meeting elected Heikki Bergholm, Kai Hannus, Suvi Hintsanen, Juhani Lassila, Mikko Maijala and Heikki Mairinoja to the Board of Directors for the next term of office in accordance with the Articles of Association. The Board of Directors held an initial meeting after the Annual General Meeting and elected Mikko Maijala as its Chairman and Heikki Mairinoja as Deputy Chairman. The Meeting decided that the yearly remuneration of the members of the Board of Directors remain at EUR 30,000 for the Chairman, EUR 22,500 for the Deputy Chairman, and EUR 18,750 for the other members. 40 per cent of the remuneration amount will be paid using the company's own shares. PricewaterhouseCoopers Oy, Authorised Public Accountants, were re-elected as auditors for the term expiring at the close of the next Annual General Meeting. The audit fee will be paid on the basis of an approved invoice. The minutes of the meeting will be available on the company's website at www.suominen.fi as from 13 April 2011 at the latest. The Extraordinary General Meeting of Suominen Corporation authorised the Board of Directors to decide on the issuance of a maximum of 30,000,000 new shares in one or more share issues against payment. The authorisation grants the Board of Directors the right to decide on a directed issue in deviation from the shareholders' pre-emptive right. The authorisation can be used for improving the company's capital structure, financing business arrangements and expansion investments or for other purposes determined by the Board of Directors. The authorisation can not be used for creating share-based incentive programs. The Board of Directors was authorised to resolve on all other terms and conditions of a share issue. The authorisation will be effective until 31 December 2010 and it does not supersede earlier authorisations. The Annual General Meeting of Suominen Corporation approved the financial statements of the parent company and the Group for the financial year 2009 and released the members of the Board of Directors and the President and CEO from liability. The Meeting decided that a dividend of EUR 0.02 per share be paid for the financial year 2009. The Meeting approved the Board of Directors' proposal to amend the Article 11 of the Articles of Association and authorised the Board of Directors to decide on repurchase and conveyance of the company's own shares. The Annual General Meeting of Shareholders was held today on 23 March 2010. The Meeting was opened by the Chairman of the Board of Directors, Mr. Mikko Maijala, and chaired by Attorney-at-law, Mr. Jukka Laitasalo. The Annual General Meeting approved the financial statements of the parent company and the Group for the financial year 1 January - 31 December 2009 and released the members of the Board of Directors and the President and CEO from liability for the period. The Annual General Meeting decided that a dividend of EUR 0.02 per share be paid for the financial year 2009. The dividend will be paid to a shareholder registered in the company's Register of Shareholders' maintained by Euroclear Finland Ltd. on the record date 26 March 2010. No dividend will be paid on own shares held by the company on the record date. The dividend will be paid on 9 April 2010. The Meeting decided that the yearly remuneration of the members of the Board of Directors remain at EUR 30,000 for the Chairman, EUR 22,500 for the Deputy Chairman, and EUR 18,750 for the other members. A total of 40 per cent of these sums will be used to acquire the company's own shares. The Annual General meeting approved the proposal of the Board of Directors that the Article 11 of the Articles of Association be amended so that an invitation to the General Meeting of Shareholders shall be delivered three weeks before the General Meeting of Shareholders, however, not later than nine days before the record date of the General Meeting of Shareholders. The Annual General Meeting approved the proposal of the Board of Directors to authorise the Board of Directors to decide on the repurchase of a maximum of 200,000 of the company's own shares. The repurchase authorisation is valid for 18 months after the decision of the General Meeting. The shares shall be repurchased to improve company's capital structure and/or to be used as consideration in future acquisitions or other arrangements related to the company's business or as part of the company's incentive program, and/or to finance investments. Shares may be held, cancelled or conveyed by the company. The company's own shares shall be repurchased otherwise than in proportion to the holdings of the shareholders by using the non-restricted equity through public trading on NASDAQ OMX Helsinki Ltd at the market price prevailing at the time of acquisition. The Annual General Meeting approved the proposal of the Board of Directors to authorise the Board of Directors to decide on the conveyance of a maximum of 200,682 of the company's own shares held by the company. The authorisation on conveying is valid for 18 months after the end of the General Meeting. The company's own shares held by the company may be conveyed either against payment or for free. The shares may be conveyed to the company's shareholders in proportion to their current shareholdings in the company or waiving the shareholder's pre-emption right, through a directed share issue if the company has a weighty financial reason to do so, such as using the shares as consideration in future acquisitions or other arrangements related to the company's business, as financing investments or as part of the company's incentive program. The minutes of the meeting will be available on the company's website at www.suominen.fi as from 6 April 2010 at the latest. The Annual General Meeting of Suominen Corporation approved the financial statements of the parent company and the Group for the financial year 2008 and released the members of the Board of Directors and the President and CEO from liability. The Meeting decided that no dividend be paid for 2008. The Meeting approved the Board of Directors' proposal concerning the granting of stock options and authorised the Board of Directors to decide on repurchase and conveyance of the Company's own shares. The Annual General Meeting of Shareholders was held today on 20 March 2009. The Meeting was opened by the Chairman of the Board of Directors, Mr. Mikko Maijala, and chaired by Attorney-at-law, Mr. Jukka Laitasalo. The Annual General Meeting approved the financial statements of the parent company and the Group for the financial year 1 January - 31 December 2008 and released the members of the Board of Directors and the President and CEO from liability for the period. The Annual General Meeting decided that no dividend be paid for 2008. The Annual General Meeting confirmed the number of members of the Board of Directors five. The Meeting elected Heikki Bergholm, Kai Hannus, Juhani Lassila, Mikko Maijala and Heikki Mairinoja to the Board of Directors for the next term of office in accordance with the Articles of Association. The Board of Directors held an initial meeting after the Annual General Meeting and elected Mikko Maijala as its Chairman and Heikki Mairinoja as Deputy Chairman. The Meeting decided that the yearly remuneration of the members of the Board of Directors remain at EUR 30,000 for the Chairman, EUR 22,500 for the Deputy Chairman, and EUR 18,750 for the other members. A total of 40% of these sums will be used to acquire the Company's own shares. A maximum of 450,000 stock options shall be issued. The option rights entitle to subscribe for altogether a maximum of 450,000 new shares of Suominen Corporation. Of the stock options 150,000 shall be marked with the symbol 2009A, 150,000 shall be marked with the symbol 2009B, and 150,000 shall be marked with the symbol 2009C. The stock options shall be issued in the book-entry system. The Board of Directors shall decide on the related procedure and time schedule. As decided by the Board of Directors, the stock options shall be issued gratuitously to the President and CEO, and to the members of the Corporate Executive Team. The pre-emption right of the shareholders shall be waived because the stock options are intended to form a part of the Group's incentive program and therefore the Company is considered to have a weighty financial reason to do so. Each stock option entitles its holder to subscribe for one (1) new share of the Company. As a result of the subscriptions, the number of the Company shares may be increased by a maximum of 450,000 new shares. The share subscription price shall be recognised in the invested non-restricted equity fund. The share subscription period shall be for stock option 2009A 2 May 2011 - 30 October 2012, for stock option 2009B 2 May 2012 - 30 October 2013, and for stock option 2009C 2 May 2013 - 30 October 2014. The Board of Directors may decide to advance the beginning of the share subscription period for the stock options. The subscription price shall be for stock option 2009A the trade volume weighted average quotation of the Company share on the NASDAQ OMX Helsinki Ltd in May 2009 rounded to the nearest cent, for stock option 2009B the trade volume weighted average quotation of the Company share on the NASDAQ OMX Helsinki Ltd in May 2010 rounded to the nearest cent, and for stock option 2009C the trade volume weighted average quotation of the Company share on the NASDAQ OMX Helsinki Ltd in May 2011 rounded to the nearest cent. The subscription price of stock options shall be reduced if the Company distributes dividends or funds from the non-restricted equity fund, or if the Company reduces its share capital by distributing share capital to its shareholders. The subscription price per share must nevertheless always be at least EUR 0.01. The Annual General Meeting approved the proposal of the Board of Directors to authorise the Board of Directors to decide on the conveyance of a maximum of 255,057 of the Company's own shares held by the Company. The authorisation on conveying is valid for 18 months after the end of the General Meeting. The minutes of the meeting will be available on the Company website www.suominen.fi as of 3 April 2009. The Annual General Meeting of Suominen Corporation was held on 27 March 2008. The Meeting approved the financial statements of the parent company and the Group for the financial year 2007 and released the members of the Board of Directors and the President and CEO from liability. The Meeting decided that no dividend be paid for 2007. The Meeting authorised the Board of Directors to decide on repurchase and conveyance of the Company's own shares. Suominen has a permanent Shareholders’ Nomination Board established by the Annual General Meeting. The task of the Nomination Board is to prepare and present to the Annual General Meeting and, if necessary, to an Extraordinary General Meeting, a proposal on the remuneration of the members of the Board of Directors, a proposal on the number of members of the Board of Directors and a proposal on the members and the Chair of the Board of Directors. In addition, the task of the Nomination Board is to seek potential successors for the board members. The Nomination Board shall consist of four (4) members, three of which shall be appointed by the Company’s three largest shareholders, who shall appoint one member each. The Chair of the Company’s Board of Directors shall serve as the fourth member. The Nomination Board is established to exist and serve until the General Meeting of the Company decides otherwise. The members shall be nominated annually, and their term of office shall end when new members are nominated to replace them. The members of the Nomination Board shall be independent of the Company, and a person belonging to the Company’s operative management cannot be a member of the Nomination Board. The shareholders entitled to appoint members to the Nomination Board during financial year 2018 were determined on the basis of the registered holdings in the Company’s shareholder register on 1 September 2017 and on 1 September 2018. - Jan Johansson, Chair of Suominen’s Board of Directors. 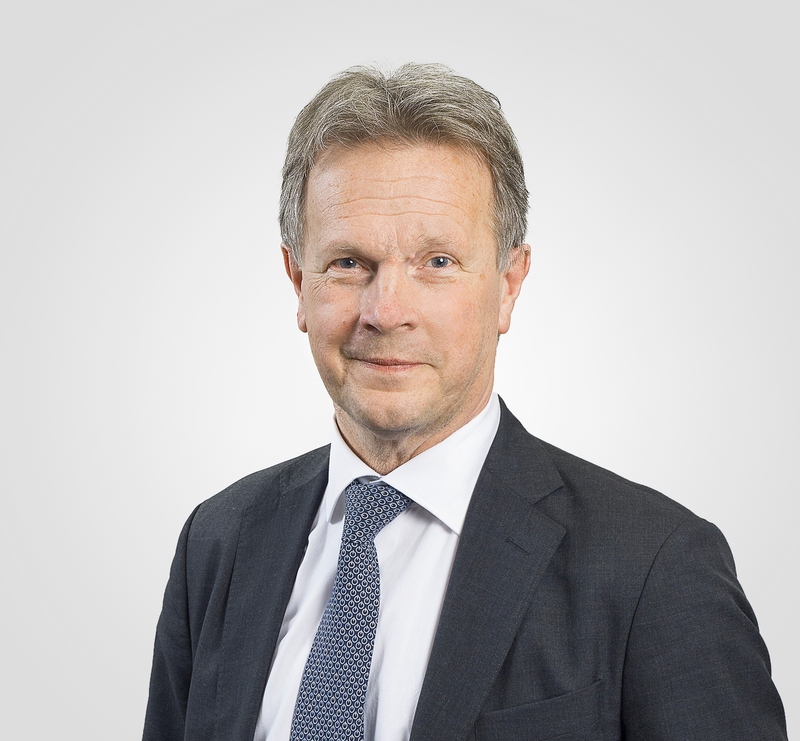 On 30 November 2018, Oy Etra Invest Ab informed Suominen that Mr. Roger Hagborg, Investment Advisory Professional, TVF TopCo Limited, replaces Mr. Erkki Etola, CEO of Oy Etra Invest Ab, as a member appointed by Oy Etra Invest Ab of the Shareholders’ Nomination Board of Suominen Corporation. In financial year 2018, the Nomination Board convened once. The attendance rate at the meeting was 100%. At Suominen, diversity has been recognized as an essential success factor in the long term. Also in considering the Board’s composition, diversity is assessed through a number of viewpoints. Diversity in the Board’s competencies, experience and opinions promotes openness for new ideas and helps the Board support and challenge the company management. Further, diversity promotes open discussion, integrity of decision making, good corporate governance, effective supervision of both the Board and the management as well as supports succession planning. At Suominen, the Shareholders’ Nomination Board prepares to the Annual General Meeting a proposal on the composition of the Board of Directors. The Nomination Board consists of the representatives of the company’s three largest shareholders. Moreover, the Chair of the company’s Board of Directors serves as the fourth member. The Nomination Board evaluates the number of the members of the Board, its composition and the competence requirements of the Board in the light of the present and future needs of the company. When assessing the composition of the board, the Nomination Board considers, among other things, whether the Board possesses a broad range of business knowledge and members representing both genders and various ages. It is Suominen’s objective to have both men and women in its Board. It is fundamental that the final proposal of the Nomination Board to the Annual General Meeting is based on the qualifications and competencies of each candidate. In addition, candidates must also have the possibility to devote a sufficient amount of time for the Board work. The Board of Directors of Suominen has reviewed and approved these diversity principles. The Board proposes to the Shareholders’ Nomination Board that it would apply these principles in preparing its proposal on the composition of the Board of Directors to the Annual General Meeting. The Annual General Meeting of Suominen held on 15 March 2018 elected six members to the Board of Directors of the Company. Two of the six members are women. All members of the Board of Directors hold an academic degree either in law, business economics or technical sciences. Considering their experience, they represent international business in all its broadness and therefore bring diverse expertise and versatile perspectives to the Board work. The youngest member of the Board of Directors turned 42 and the oldest 69 years in 2018. On 15 March 2018, the Annual General Meeting re-elected Andreas Ahlström, Risto Anttonen,Jan Johansson, Hannu Kasurinen, Laura Raitio and Jaana Tuominen as members of the Board of Directors. Jan Johansson was re-elected as Chair of the Board of Directors. The term of office of the members of the Board of Directors ends at the close of the Annual General Meeting 2019. In accordance with the Market Abuse Regulation (MAR), effective as of 3 July 2016, the shareholdings of company management are not updated anymore. The shareholding data below is available as per 2 July 2016. Positions of trust Deputy Chair of the Board of Directors, Ensto Ltd. The main duty of the Board of Directors of Suominen is to direct Suominen Group’s strategy in a way that it, in the long run, enables the delivery of the financial targets set for Suominen Group and maximizes shareholder value while simultaneously taking into account the expectations of the key stakeholders. establishing a dividend policy and confirming the Company’s targets. The members of the Board of Directors are elected by the General Meeting of Shareholders. Pursuant to the Articles of Association of the Company, the Board consists of at least three and at most seven members. The Board of Directors convenes under the direction of the Chair or, if the Chair is unable to attend, the Deputy Chair. Principally, the matters are presented by the President & CEO. In 2018, the Board of Directors convened 19 times, of which five times per capsulam. The attendance rate at the meetings was 99%. The participation of each individual member is presented in the table below. The Board of Directors has evaluated the independence of its members. All members are independent of the Company. 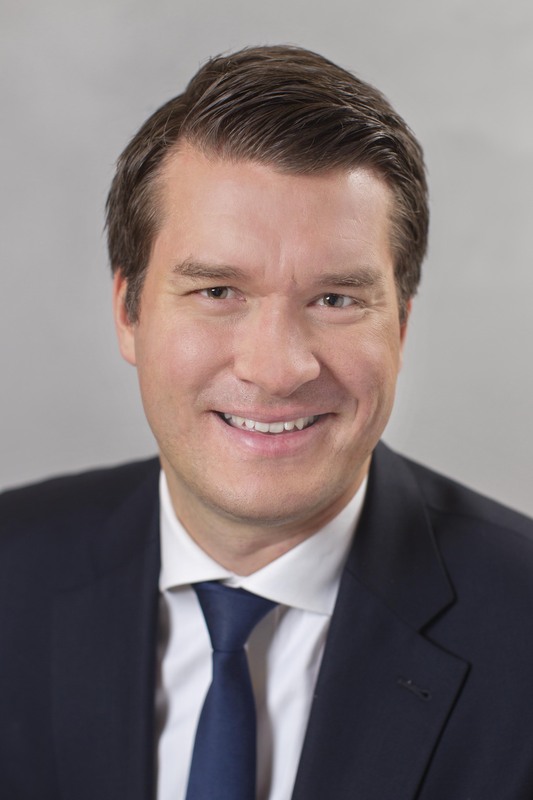 All members are also independent of its significant shareholders, with the exception of Andreas Ahlström, who acts as Investment Director at Ahlström Capital Oy. The largest shareholder of Suominen, AC Invest Two B.V., is a group Company of Ahlström Capital. In 2018, after most of its meetings, the Board assessed the preparations of the meeting, the course of the meeting, and its own operations, in line with the principle of continuous development. The Board of Directors conducted an annual evaluation of its operation and working methods during financial year 2018. The assessment was conducted by an external evaluating company. The results of the assessment were discussed confidentially also with the Nomination Board members to whom the report was provided. The main tasks of the Audit Committee relate to ensuring the Company’s good governance, accounting and financial reporting, internal control systems and monitoring the activities of the external audit. The Audit Committee prepares for the Board matters that fall under its areas of responsibility, but it does not have independent decision-making powers unless the Board resolves otherwise on certain matters. The Chair and members of the committee are elected annually at the Board’s constitutive meeting. At least three members are elected to the committee. The members of the Audit Committee must be independent of the Company, and at least one member must be independent of the Company’s significant shareholders. From 1 January 2018 until 15 March 2018, until the constitutive meeting of the Board held after the Annual General Meeting, the Audit Committee consisted of Hannu Kasurinen as Chair and Andreas Ahlström and Jaana Tuominen as members. In its constitutive meeting on 15 March 2018, Hannu Kasurinen was re-elected as the Chair and Andreas Ahlström was re-elected as member. Laura Raitio was elected as a new member to the Audit Committee. In 2018, the Audit Committee convened four times. The attendance rate at the meetings was 100%. The participation of each individual member is presented in the table below. The Personnel and Remuneration Committee prepares the remuneration and appointment matters concerning the Company’s President & CEO and other senior management, as well as principles and procedures related to the remuneration of the Company’s employees. The Committee prepares for the Board matters that fall under its areas of responsibility, but it does not have independent decision-making powers unless the Board resolves otherwise on individual matters. The Chair and members of the committee are elected annually at the Board’s constitutive meeting. The majority of the members of the Personnel and Remuneration Committee must be independent of the Company. The President & CEO or a member of the Company’s or Group’s management may not be a member of the Personnel and Remuneration Committee. From 1 January 2018 until the constitutive meeting of the Board of Directors held on 15 March 2018, the members of the Personnel and Remuneration Committee were Jan Johansson (Chair), Risto Anttonen and Laura Raitio. In its constitutive meeting held on 15 March 2018, the Board of Directors re-elected Jan Johansson as the Chair and Risto Anttonen and Laura Raitio as members. In 2018, the Personnel and Remuneration Committee convened twice. The attendance rate at the meetings was 100%. The participation of each individual member is presented in the table below. 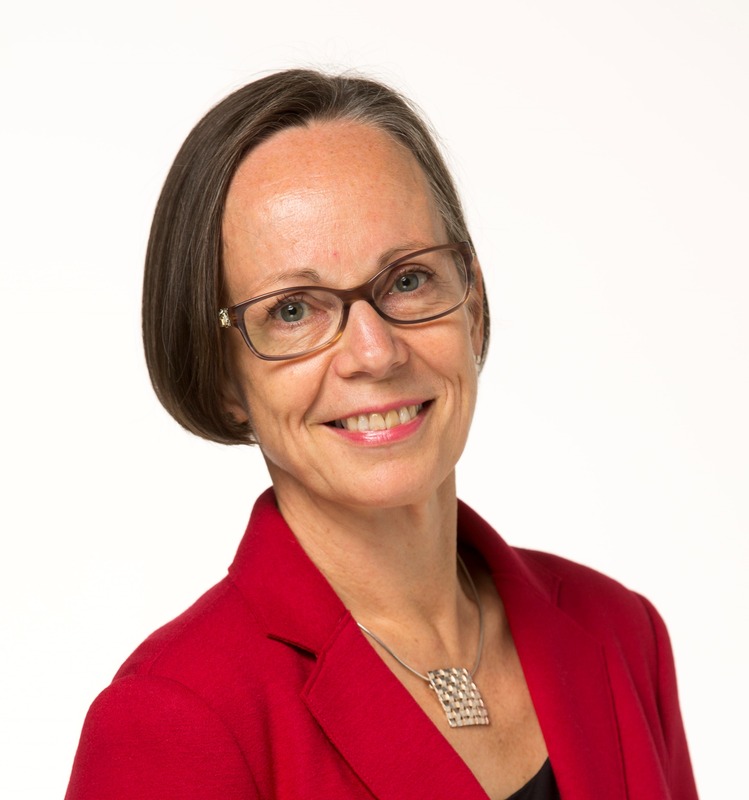 The President & CEO of Suominen is appointed by the Board of Directors. The President & CEO is responsible for day-to-day operations in accordance with the Companies Act and guidelines and instructions provided by the Board of Directors. The President & CEO is in charge of the day-to-day management of Suominen Group and is responsible for ensuring that the Company’s accounting practices comply with the law and that its assets are reliably managed pursuant to the Companies Act. The President & CEO acts as the Chair of the Corporate Executive Team and the Corporate Leadership Team and as the immediate supervisor of the teams’ members. Mr. Petri Helsky, b. 1966, M.Sc. (Econ. ), International Marketing, M.Sc. (Eng. ), Chemical Engineering acts as the President & CEO of Suominen. The President & CEO is supported by the Corporate Executive Team and Corporate Leadership Team. In 2017 the Corporate Executive Team comprised, in addition to the President & CEO, Chief Financial Officer, Chief Technology Officer, Senior Vice Presidents of both business areas, Senior Vice President of Operations, Senior Vice President of Operational Excellence and Senior Vice President, HR. The Corporate Leadership Team comprises, in addition to the members of the Corporate Executive Team, Chief Information Officer; Vice President, Sourcing and Vice President, Corporate Communications & IR. In accordance with the Market Abuse Regulation (MAR), effective as of 3 July 2016, the shareholdings of company management are not updated anymore. The data is available as per 2 July 2016. Suominen Corporation (“Suominen” or “Company”) complies with the Finnish Corporate Governance Code 2015 (“Code”) issued by the Securities Market Association. This Remuneration Statement has been prepared in accordance with the guidance provided in the Reporting section of the Code. The Code is available on the Association’s website at www.cgfinland.fi. The Annual General Meeting determines the remuneration paid to the members of the Board of Directors in advance, for one year at a time. Shareholders’ Nomination Board prepares independently a proposal on the remuneration of the Board of Directors for the Annual General Meeting. The Board of Directors of Suominen determines the salary, bonuses and other benefits paid to the President & CEO and to other executives (members of the Corporate Executive Team and the Corporate Leadership Team, reporting directly to the President & CEO). The remuneration of the President & CEO and other executives consists of a fixed monthly salary and benefits, a performance-based bonus (short-term remuneration), and share-based incentive plans (long-term remuneration). The Personnel and Remuneration Committee of the Board of Directors of Suominen prepares the remuneration and appointment matters concerning the Company’s President & CEO and other executives, as well as principles and procedures related to the remuneration of the Company’s employees. The Committee does not have independent decision-making power unless the Board resolves otherwise on individual matters. Suominen strives to have a remuneration system that is systematic, structured and predictable with strong performance orientation. The consistency and competitiveness of the rewards are ensured through systematic internal and external comparisons that also take into consideration local market conditions. Suominen’s remuneration system aims to ensure that a fixed proportion of the total reward is individually targeted and actively examined. The goal of an active remuneration system is to ensure that the Company’s employer image in the eyes of both current and potential key employees is attractive. Clear indicators that reflect performance, as well as a focus on the achieved results, ensure that the reward is justified, goal-oriented and offers incentive. By selecting goals for the variable rewards, the aim is to steer management towards implementing Suominen’s strategy and achieving the financial targets. Short- and long-term performance-based remuneration is used to reward good performance and to contribute both to the Company’s financial success and to the favorable development of its shareholder value. The remuneration of Suominen’s Board of Directors is based on fixed annual remuneration and meeting fees. Suominen’s Annual General Meeting held on 15 March 2018 decided that the remuneration payable to the members of the Board remains unchanged. Consequently, the Chair of the Board of Directors was paid an annual fee of EUR 60,000, Deputy Chair of the Board an annual fee of EUR 37,500 and other Board members an annual fee of EUR 28,000. 60% of the annual remuneration was paid in cash and 40% in Suominen Corporation’s shares. Of the remuneration payable in shares as described above, the number of shares transferred was determined based on the share value in the stock exchange trading maintained by Nasdaq Helsinki Ltd, calculated as the trade volume-weighted average quotation of the share during one-month period immediately following the date on which the interim report of January–March 2018 of the Company was published. The shares were given out of the treasury shares held by the Company on 31 May 2018. Further, the members of the Board of Directors are paid a fee for attending meetings. Each member of the Board will receive EUR 500 for each meeting attended in the home country of the respective member and EUR 1,000 for each meeting attended elsewhere than in the home country of the respective member. Compensation for expenses is paid in accordance with the Company’s valid travel policy. The participation to the Board’s Committees is not compensated separately. Members of Suominen’s Board of Directors do not have an employment relationship with the Company. They are not included in the Company’s share-based incentive plans and they do not have any pension contracts with the Company. Suominen Corporation shares that have been received as remuneration for the Board membership are not subject to restrictions or ownership obligations. The remuneration of the President & CEO consists of a fixed monthly salary and benefits, performance-based bonus (short-term remuneration), and share-based incentive plans (long-term remuneration). The Board of Directors of Suominen decided on 4 December 2014 on two share-based incentive plans for the Group management (including President & CEO) and Group key employees: Performance Share Plan and Matching Share Plan. The aim of the plans is to combine the objectives of the shareholders and the persons participating in the plans in order to increase the value of the Company in the long-term, to bind the participants to the Company, and to offer them competitive reward plans based on earning and accumulating the Company's shares. The Performance Share Plan includes three earnings periods, calendar years 2015–2017, 2016–2018 and 2017–2019. The Performance Share Plan is directed to approximately 20 people, including President & CEO. The Plan includes a share price cap mechanism which cuts the reward if the limits set by the Board of Directors for the share price are reached. The reward of the Plan from the performance period 2015–2017 was based on the Suominen Group´s net sales growth, earnings before interest and taxes margin (EBIT%) and return on invested capital (ROI %). The rewards paid on the basis of the performance period 2015–2017 are reported in this Remuneration Statement. The reward of the Plan from the performance period 2016–2018 was based on the Suominen Group’s net sales growth, earnings before interest and taxes margin (EBIT %) and return on invested capital (ROI %). No rewards will be paid based on the performance period 2016–2018. The potential reward of the Plan from the performance period 2017–2019 will be based on the Suominen Group´s net sales growth, earnings before interest and taxes margin (EBIT %) and return on invested capital (ROI %). The rewards to be paid on the basis of the performance period 2017–2019 correspond to the value of an approximate maximum total of 480,000 Suominen Corporation shares, of which the maximum portion of the President & CEO would be the value of 80,000 shares (both including also the proportion to be paid in cash). The fulfilment of the performance criteria of each earnings period is monitored annually and the potential rewards from the earnings period 2017–2019 will be paid in 2020. The potential rewards will be paid partly in the Company’s shares and partly in cash. The cash proportion of the reward is intended to cover taxes and tax-related costs arising from the reward to the participant. As a rule, no reward will be paid, if a participant´s employment or service ends before the reward payment. The President & CEO of the Company must hold 50% of the net number of shares given based on the Plan, as long as his or her shareholding in total corresponds to the value of his/her annual gross salary. Such number of shares must be held as long as his or her service in a group Company continues. The Matching Share Plan included one three-year vesting period, calendar years 2015–2017. The rewards paid based on the plan are reported in this Remuneration Statement. The terms and conditions of the share-based incentive plans were technically revised due to the reverse share split decided by the Annual General Meeting on 16 March 2016 and implemented on 21 March 2016. On 11 December 2017, the Board of Directors of Suominen approved a new share-based incentive plan for the Group management (including President & CEO) and Group key employees. The aim of the new plan is to combine the objectives of the shareholders and the persons participating in the plan in order to increase the value of the Company in the long-term, to bind the participants to the Company, and to offer them competitive reward plans based on earning and accumulating the Company´s shares. The new Performance Share Plan includes currently two three-year performance periods, calendar years 2018–2020 and 2019–2021. The Performance Share Plan is directed to approximately 20 people. The Plan includes a share price cap mechanism which cuts the reward if the limits set by the Board of Directors for the share price are reached. The potential reward of the Plan from the performance period 2018–2020 is based on the Relative Total Shareholder Return (TSR) and Earnings before Interest and Taxes margin (EBIT %). The potential rewards to be paid on the basis of the performance period 2018–2020 correspond to the value of an approximate maximum total of 502,000 Suominen shares, of which the maximum portion of the President & CEO would be the value of 88,000 shares (both including also the proportion to be paid in cash). The potential reward of the Plan from the performance period 2019–2021 will be based on the Relative Total Shareholder Return (TSR). The potential rewards to be paid on the basis of the performance period 2019–2021 correspond to the value of an approximate maximum total of 729,000 Suominen Corporation shares (including also the proportion to be paid in cash). The potential rewards from the performance periods 2018–2020 and 2019–2021 will be paid partly in the Company’s shares and partly in cash in 2021 and 2022, respectively. The cash proportion is intended to cover taxes and tax-related costs arising from the reward to the participant. As a rule, no reward will be paid, if a participant´s employment or service ends before the reward payment. The President & CEO of the Company must hold 50% of the net number of shares given on the basis of the plan, as long as his or her shareholding in total corresponds to the value of his or her annual gross salary. Such number of shares must be held as long as his or her employment or service in a group Company continues. Suominen applies an annual bonus scheme based on the principles approved by the Board of Directors in advance for one year at a time. For the financial year 2018, President & CEO’s potential reward from the period was based on net sales growth, return on invested capital and certain personal targets and it may not exceed 60% of the annual salary. According to the written contract made with the President & CEO, the period of notice is six months should either the Company or the President & CEO terminate the contract. Should the Company terminate the President & CEO’s contract, severance pay corresponding to 12 months’ salary shall be paid. The President & CEO has no specific contract related to the termination of his contract due to a public tender offer. In addition to the statutory pension arrangements, Suominen’s President & CEO has a supplementary pension arrangement granting benefits for old-age, disability and survivor’s pension at the age of 63. The supplementary pension is a defined-contribution pension scheme and corresponds to 11.5% of the President & CEO’s annual salary (as defined in the Finnish Employees Pensions Act) for the year in question. The supplementary pension premium is based on the calculated annual earnings (fixed monthly salary plus estimated bonus). Any possible difference between the actual and calculated payment is taken into account in the following year’s payments. Long-term remuneration through the share-based incentive plans: A member of the Corporate Executive Team must hold 50% of the net number of shares given on the basis of the Plan, as long as his or her shareholding in total corresponds to the value of half of his or her annual gross salary. Short-term remuneration: For other Corporate Executive Team members, the bonus may not exceed 50% of the annual salary and for Corporate Leadership Team members 40% of the annual salary. In 2018 the performance-based bonus was based on organizational financial targets which are net sales growth and return on investment (ROI%) (with actualization ranging from 0 to 100%) and personal performance (with actualization ranging from 0 to 100%). The payable bonus is calculated by adding together the weighted actualization of the personal performance and the actualization of the corporate financial performance. The other executives are not covered by any special supplementary pension schemes. Pension arrangements in countries without statutory pensions are arranged through Suominen’s normal supplementary pension programs. The executives and other key persons of Suominen act as members of the Boards of Directors in the Company’s subsidiaries. Separate compensation is not paid for that duty. Remuneration of the members of the Board of Directors, including the value of the remuneration paid in Suominen shares, totaled EUR 236,000 in financial year 2018. 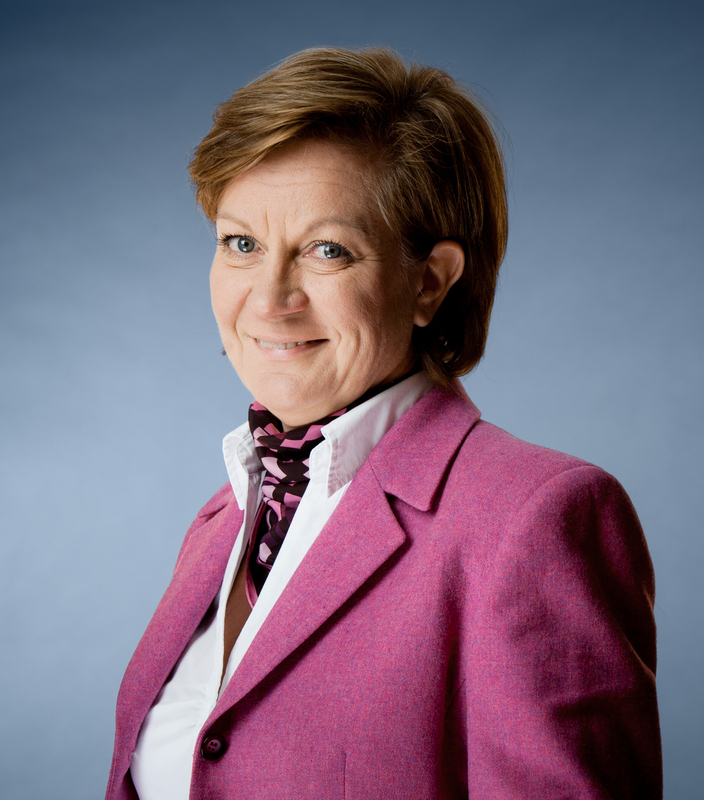 In financial year 2018, the salaries and benefits paid to Nina Kopola, President & CEO until 3 August 2018, totaled EUR 905,429 including severance payments of EUR 482,819 and an estimated bonus of EUR 64,979. Additionally, she had a health insurance, of which the costs for the Company were EUR 587 in 2018. Supplementary pension payments for Nina Kopola were in total EUR 79,689. 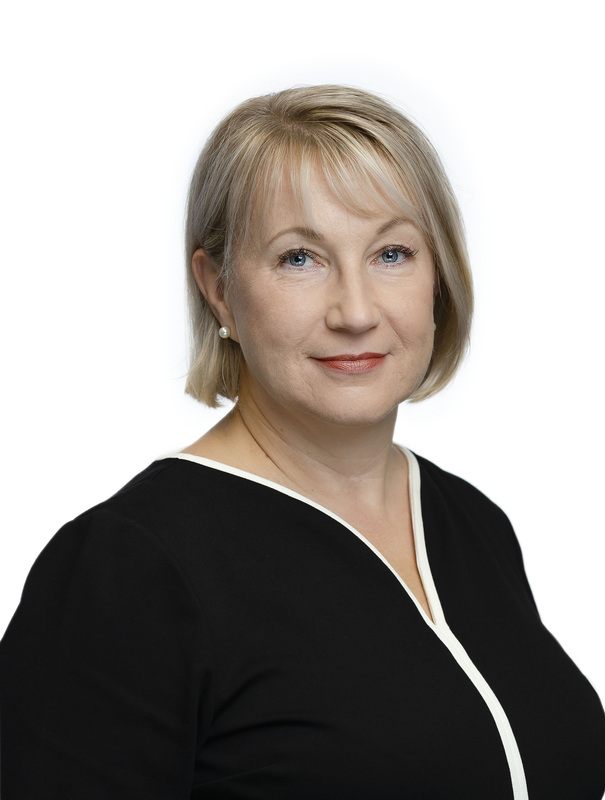 Nina Kopola received in total 14,182 Suominen shares as remuneration based on the Performance Share Plan 2015–2017 and from the Matching Share Plan. In financial year 2018, the salaries and benefits paid to Tapio Engström, Suominen’s Senior Vice President and CFO, for acting as the interim President & CEO as of 3 August 2018 until 7 January 2019, totaled EUR 287,176. During his time as the interim President & CEO, he received increased base salary without any specific extra benefits. Tapio Engström received in total 7,062 Suominen shares as remuneration based on the Performance Share Plan 2015-2017 and from the Matching Share Plan. The salaries and benefits paid to the other members of the Corporate Executive Team totaled EUR 1,477,733. In the financial year 2018, no bonuses were paid to the members of the Corporate Executive Team. Other members of the Corporate Executive Team received in total 48,822 Suominen shares as remuneration based on the Performance Share Plan 2015–2017 and from the Matching Share Plan. The Annual General Meeting held on 15 March 2018 re-elected Ernst & Young Oy, Authorized Public Accountant firm, as auditor of the Company. Ernst & Young Oy appointed Toni Halonen, Authorized Public Accountant, as the responsible auditor of the Company. The auditors and the Audit Committee of Suominen agree annually on an audit plan. In 2018, the fees paid to Ernst & Young for the statutory auditing of the Group companies totaled EUR 465 thousand. The fees paid to the auditing company and companies belonging to the same group for non-audit services such as tax, IFRS and other services, totaled EUR 74 thousand. Risk management is considered an integral part of running the business of Suominen, and the identification and assessment of risks is an essential element of internal control. The aim is to focus on the material risks that are significant from a business perspective. Risks are categorized into business risks caused by changes in the business environment and operational risks, caused by deficiencies in Suominen’s processes. Operational risks are considered to potentially have a material value in transactions with external parties. However, the Group’s instructions, process check-ups, allocation of tasks and standards set up by total quality operating systems help to establish a prudent environment in which exposure to material risks can be mitigated. Risks relating to financial reporting are evaluated and monitored by the Board, aiming to ensure that the financial reporting of the Group is reliable, supports decision-making and serves the needs of external stakeholders. The valuation of assets, liabilities and contingent liabilities based on various evaluation assumptions and criteria may constitute a risk. Future estimates and assumptions on the reporting date involving a significant risk of causing material changes in the carrying amounts of assets and liabilities are continuously evaluated. Complex and evolving factors having an impact on business circumstances may add uncertainty to the assessment of the carrying amounts of assets. To avoid errors in stating the fair values of assets or liabilities, regular check-ups are made, e.g. by comparing material flows, values, and quantitative and qualitative data with the information in accounting. The risk of errors due to irregularities and discontinuities in information is reduced by using established and automated system-based audit trails. Global political developments and changes in consumer preferences could have an adverse effect on Suominen. For instance, a political decision that constrains the global free trade may significantly impact the availability and price of certain raw materials, which would in turn affect Suominen’s business and profitability. Suominen’s geographical and customer-industry diversity provides partial protection against this risk. The demand for Suominen’s products depends on the development of consumer preferences. Historically, changes in global consumer preferences have had mainly positive impact on Suominen, as they have resulted in the growing demand for products made of nonwovens. However, certain factors, including consumers’ attitude towards the use of products made even partially of oil-based raw materials, or their perception on the sustainability of disposable products in general, might rapidly change the consumers’ preferences and buying habits. Suominen monitors the consumer trends proactively and develops its product offering accordingly. The company has had biodegradable, 100% plant-based nonwovens in its portfolio for over 10 years. Suominen also interacts with policymakers regarding the so-called Single-Use Plastic Directive proposal in the European Union. The estimate on the development of Suominen’s net sales is partially based on forecasts and delivery plans received from the company’s customers. Changes in these forecasts and plans, resulting from changes in the market conditions or in customers’ inventory levels, may affect Suominen’s net sales. Suominen’s customer base is fairly concentrated, which adds to the customer-specific risk. This may affect Suominen’s financial result if customers’ purchasing habits become more cautious as a result of a changes in consumption, or as a result of sales losses. In 2018, the Group’s ten largest customers accounted for 65% (63%) of the Group net sales. Long-term contracts are preferred with the largest customers. In practice the customer relationships are long-term and last for several years. Customer-related credit risks are managed in accordance with a risk policy approved by the Board of Directors. Credit limits are confirmed for customers on the basis of credit ratings and customer history. The relevance of the United States in Suominen’s business operations increases the significance of the exchange rate risk related to USD in the Group’s total exchange risk position. Suominen hedges this foreign exchange position in accordance with its hedging policy. The risks that are characteristic to South American region, including significant changes in business environment or exchange rates, could have an impact on Suominen’s operations in Brazil. Suominen purchases significant amounts of pulp- and oil-based raw materials annually. Raw materials are the largest cost item for operations. Rapid changes in the global market prices of raw materials have an impact on the company’s profitability. Suominen’s stocks equal to two to four weeks’ consumption and passing on the price changes of these raw materials to the prices Suominen charges its contract customers takes two to five months. Extended interruptions in the supply of Suominen’s main raw materials could disrupt production and have a negative impact on the Group’s overall business operations. As Suominen sources most of its raw materials from a number of major international suppliers, significant interruptions in the production of the majority of Suominen’s products are unlikely. Suominen has numerous regional, national and international competitors in its different product groups. There is currently oversupply in some product groups in Suominen’s both principal market regions. Products based on new technologies and imports from countries of lower production costs may reduce Suominen’s competitive edge. If Suominen is not able to compete with an attractive product offering, it may lose some of its market share. Competition may lead to increased pricing pressure on the company’s products. Suominen continuously invests in its manufacturing facilities. The deployment of the investments may delay from what was planned, the costs of the investments may increase from what has been expected or the investments may create less business benefits than anticipated. The deployment phase of investments may cause temporary interruptions in operations. Suominen’s operations are dependent on the integrity, security and stable operation of its ICT systems and software as well as on the successful management of cyber risks. If Suominen’s ICT systems and software were to become unusable or significantly impaired for an extended period of time, or the cyber risks are realized, Suominen’s reputation as well as ability to deliver products at the appointed time, order raw materials and handle inventory could be adversely impacted. There could be a risk of Suominen’s business operations being interrupted due to abrupt and unforeseen events, such as power outages or fire and water damage. Suominen may not be able to control these events through predictive actions, which could lead to interruptions in business. Risks of this type are insured in order to guarantee the continuity of operations. As Suominen has valid damage and business interruption insurance, it is expected that the damage would be compensated, and the financial losses caused by the interruption of business would be covered. Suominen uses certain technologies in its production. In the management’s view, the chosen technologies are competitive and there is no need to make major investments in new technologies. However, it cannot be excluded that the company’s technology choices could prove wrong, and the development of new or substitute technologies would then require investments. Suominen aims to protect its business against product liability risks through the use of systematic quality assurance processes and products liability insurance. Technology function of the company is responsible for ensuring the underlying safety of the group´s products during their development. Continuous quality control is designed to guarantee product quality during production. Management considers it unlikely that the Group will face significant product liability-related claims and is unaware of any such claims. Suominen is subject to corporate income taxes in numerous jurisdictions. Significant judgment is required to determine the total amount of corporate income tax at Group level. There are many transactions and calculations that leave room for uncertainty as to the final amount of the income tax. Tax risks relate also to changes in tax rates or tax legislation or misinterpretations, and materialization of the risks could result in increased payments or sanctions by the tax authorities, which in turn could lead to financial loss. Deferred tax assets included in the statement of financial position require that the deferred tax assets can be recovered against the future taxable income. The Group is exposed to several financial risks, such as foreign exchange, interest rate, counterparty, liquidity and credit risks. The Group’s financial risks are managed in line with a policy confirmed by the Board of Directors. The financial risks are described in the note 3 of the Financial Statements. Suominen performs goodwill impairment testing annually. In impairment testing the recoverable amounts are determined as the value in use, which comprises of the discounted projected future cash flows. Actual cash flows can differ from the discounted projected future cash flows. Uncertainties related to the projected future cash flows include, among others, the long economic useful life of the assets and changes in the forecast sales prices of Suominen’s products, production costs as well as discount rates used in testing. Due to the uncertainty inherent in the future, it is possible that Suominen’s recoverable amounts will be insufficient to cover the carrying amounts of assets, particularly goodwill. If this happens, it will be necessary to recognize an impairment loss, which, when implemented, will weaken the result and equity. Goodwill impairment testing has been described in the consolidated financial statements. Control operations are embedded in the activities of Suominen’s organization. Controlling is executed in connection with the steering of business processes, supported by comprehensive reporting. Suominen’s control environment is based on instructions, the business culture and the way of working adopted by the Company’s managers and employees. The Group has established values or guiding principles, which encourage everyone at Suominen to adopt an active and ethical way of working both with various stakeholders and within the Group. In cascading the principles in the organization, honesty, transparency and working in teams are integral elements of establishing high ethical standards throughout the Company. The foundation of the internal control process relating to activities is based on the Group’s policies approved by the Board of Directors and other directives and instructions. The responsibility structure of the Group is based on authority inherent in the positions and work descriptions, segregation of duties and the “four-eyes” and “one-over” decision-making principles. Effective internal control requires that duties are properly allocated to employees and potential conflicts of interests are identified and eliminated. A satisfactory control environment is ensured through internal analyses and evaluations of key processes. The Group Finance function supports the business units in analyzing their performance and profitability and in the decision-making concerning various business choices. Controllers at the unit level are responsible for ensuring that control procedures are in place and implemented in the units. It is the ICT function’s task to ensure that the security checks of ICT systems throughout the Group companies are functioning and are conducted at a sufficient level. Internal control activities are in place to, among other things, verify that the Company’s financial reports provide a true and fair view of the Group’s financial position. It is the duty of the Board of Directors and the President & CEO to organize the internal control activities. Each member of the Board of Directors receives a monthly report on the Group’s result and financial position. In practice, control activities are conducted in the meetings of the Board of Directors and the management groups, where the results of the activities are reviewed. Group Finance and the Group’s controller network support and coordinate the financial management and control of the activities of the Group. Internal control at Suominen has been decentralized across Group functions, who monitor compliance with the operating guidelines approved by the Board concerning their areas of responsibility. In addition to the Group-level guidance, control measures are also taken at the business unit and plant level. Control measures include both general and more detailed control procedures aimed at preventing, revealing and correcting errors and deviations. In day-to-day business operations, several control activities are exercised to prevent potential errors and deviations in financial reporting. Moreover, control activities are in place to help reveal and correct the identified errors. Suominen categorizes its control activities into three categories. Documented instructions help the organization to standardize the monitoring of tasks. Continuous and regular reporting conveying feedback on the performance of Group functions and entities ensures that instructions and defined processes are followed. In critical processes, specific authorizations are needed in the work flow, either for security or for verification needs. The need for separate evaluations, as well as their scope and frequency, is defined by assessing risks and the effectiveness of ongoing monitoring procedures. Information security and related control activities play a key role when the features of ICT systems are being defined and applied. The Group accounting manual, policies approved by the Board and other directives and instructions relating to financial reporting are updated and communicated on a regular basis by management to all affected employees and are also available in the intranet systems of Group companies. In addition, a standard reporting package is used by the units. Group management and business unit management conduct monthly reviews that include an analysis of performance metrics and indicators assisting management to better understand the underlying business performance. Ongoing responsibility for follow-up rests with the business units’ management and controller functions. Regular inspections by quality auditors or customer audit personnel cover also the internal controls of supply chain processes. The Group’s Finance function monitors the operations and processes of the Group units and the accuracy of external and internal financial reporting. Suominen complies with EU Regulation No. 596/2014 on market abuse (“MAR”) and Nasdaq Helsinki Ltd’s guidelines for insiders in force at any given time. In addition, the Board of Directors of the Company has confirmed specific insider guidelines for the Company to complement Nasdaq Helsinki Ltd’s guidelines for insiders. Based on the MAR Regulation, Suominen no longer maintains a public insider register. Instead, Suominen maintains a list of the Company’s directors and persons closely associated with them. Persons on that list have an obligation to notify Suominen and the Finnish Financial Supervisory Authority of all transactions made with Suominen’s financial instruments by them or on behalf of them. Suominen will disclose the notifications it has received as stock exchange releases as soon as possible. At Suominen Corporation, the members of the Board of Directors and the President & CEO have been defined as subject to the requirement to report their transactions. The information presented on the Management shareholdings page at www.suominen.fi has not been updated after 3 July 2016 due to the MAR regulation. Disclosed stock exchange releases on the transaction notifications of directors and persons closely associated with them can be viewed at www.suominen.fi (> Investors > Share and shareholdings > Management transactions). Since the MAR regulation came into force, as of 3 July 2016, Suominen’s defined directors are subject to comply with the so-called closed period. The closed period applies prior to the disclosure of financial reports and lasts 30 calendar days, including the date of disclosure of a financial report. During the closed period, Suominen’s defined directors may not trade with the share or other financial instrument of the Company. Core persons preparing financial reports, among others, are also subject to a similar 30-day closed period. The times of the closed periods are disclosed through a stock exchange release and in the event calendar available on the Company’s website. During a closed period, trading with Suominen’s financial instruments by defined directors and core persons is possible only in certain very exceptional situations. An example of such an exceptional situation is a transaction conducted by a director or core person to participate in a share-saving scheme for Suominen employees which is a prerequisite of a director’s or a core person’s position. Any exceptions to the 30-day-long closed period requires the Company’s approval of the transaction in question. The exception cannot be applied if a director or a core person has inside information. Directors and core persons, in addition to abiding by the closed period and other trade restrictions, must time their trading so that their trading does not weaken the general trust for the securities market. Suominen recommends that directors and core persons shall make long-time investments to the company’s shares and other financial instruments. Further, it is also recommendable to time the trading to a point in time, when the market has as complete knowledge of the factors affecting the value of the share or the financial instrument as possible. The Insider Officer of Suominen is the company’s Chief Financial Officer. The Insider Officer is generally responsible for the administration insider issues with the company. administering the information to be published on the Internet, if needed. The Company's name is Suominen Oyj and in English Suominen Corporation. The Company's domicile is Helsinki. The field of operations of the Company is to practise, either directly or through subsidiaries or partnership companies, industrial activity and trade related to non-woven materials, heavy webbings and narrow fabrics and packaging as well as other corresponding industrial activity and trade. The Company's field of operations is also the management and financing services of the Group. The Company may trade in securities and practise other investment activity. The Board of Directors shall be responsible for the management of the Company and for the proper arrangement of the Company's operations. The Board of Directors shall consist of no less than three (3) and no more than seven (7) members. The Chair of the Board of Directors and the members of the Board of Directors are elected by the General Meeting. The Board of Directors elects from among its members the Deputy Chair of the Board of Directors. If during the term the Chair of the Board resigns or is permanently unable to perform his/her duties as the Chair of the Board, the Board of Directors may appoint a new Chair of the Board from among its members for the remaining term. The term of the members of the Board of Directors expires at the end of the first Annual General Meeting of Shareholders following his/her election. The Company has a Managing Director who is elected by the Board of Directors. The Company has one (1) auditor who shall be an entity of Certified Public Accountants approved by the Finnish Central Chamber of Commerce. The term of the auditor shall expire at the end of the first Annual General Meeting of Shareholders following the election. The Chairman of the Board of Directors and the Managing Director, both alone, or by two members of the Board of Directors together shall have the right to represent the Company. The Board of Directors may grant to persons employed by the Company the right to represent the Company so that such persons shall have the right to represent the Company two together or each of them together with a member of the Board of Directors. Any authorisation for signing the Company's name per procuram will be decided by the Board of Directors. The Annual General Meeting of Shareholders shall be held annually by the end of April on the date decided by the Board of Directors. Notice of the General Meeting of Shareholders shall be announced on Company’s website no earlier than two (2) months and no later than three (3) weeks prior to the General Meeting of Shareholders, however, at least nine (9) days prior to the record date of the General Meeting of Shareholders. In addition, the Company may, if so decided by the Board of Directors, within the same time announce the time and place of the General Meeting of Shareholders as well as the address of the Company’s website in one newspaper. In order to participate in the General Meeting of Shareholders, a shareholder must inform the Company of the participation at the latest on the date mentioned in the invitation. The date may not be earlier than ten (10) days before the General Meeting of Shareholders. Suominen Corporation’s (“Suominen” or “Company”) share is listed on the NASDAQ Helsinki Ltd. In its public disclosures Suominen complies with the applicable Finnish and EU legislation and regulation and other requirements by the authorities such as the Securities Market Act, decrees by the Ministry of Finance, regulations, instructions and standards by the Finnish Financial Supervisory Authority, Rules of Helsinki Stock Exchange and Guidelines for Insider issued by Nasdaq Helsinki Ltd as well as the EU’s Market Abuse Regulation 596/2014. The purpose of the investor communications of Suominen is to communicate to markets reliable, sufficient and up-to-date information for basis of valuation of the Company’s share. Suominen follows the principal of equality in its investor communications. Suominen’s Board of Directors reviews and approves the Disclosure Policy annually and it will be updated, if necessary. The President and CEO, the CFO and the IR and Communications Director are in co-operation responsible for the financial reporting and investor communications of the Company. In addition to them, only the Chair of the Board of Directors of the Company may provide statements regarding the financial standing and development of the Company. The management of the Company keeps the Company’s Board of Directors aware of the contents of the material stock exchange releases of the Company prior to the issuance thereof. The Board of Directors does not in advance approve all of the material stock exchange releases. Public companies must follow the periodic and ongoing disclosure requirements. In addition the Company must follow other disclosure requirements pursuant to the applicable laws and regulations. The periodic disclosure requirement includes the reporting of annual financial statements and interim reports. Suominen publishes financial reports quarterly and publishes the Company calendar regarding the planned release dates for the annual financial statements and following year’s interim reports prior to the beginning of new financial period. The Company calendar is also available at the Company’s website. Suominen discloses as a stock exchange release as soon as possible details of major decisions, matters and events concerning directly itself that are of precise nature and which are consider such that the publication thereof would likely to have significant effect on the price of Suominen’s share or other financial instruments or on the price of related derivative instruments (“Financial Instrument”) (“Inside Information”). Inside Information is considered to be precise in nature if it indicates a set of circumstances which exists or which may reasonably be expected to come into existence, or an event which has occurred or which may reasonably be expected to occur, where it is specific enough to enable a conclusion to be drawn as to the possible effect of that set of circumstances or event on the prices of the Financial Instruments. In the case of a protracted process, such as transaction negotiations, that is intended to bring about, or that results in, particular circumstances or a particular event, those future circumstances or that future event, and also the intermediate steps of that process which are connected with bringing about or resulting in those future circumstances or that future event, may be deemed to be precise information. Information which would be likely to have a significant effect on the prices of Suominen’s Financial Instruments, shall mean information a reasonable investor would be likely to use as part of the basis of his or her investment decisions. - initiation of major legal proceeding or ruling therein or significant decisions by authorities. The Board of Directors of Suominen or in urgent cases the President & CEO is responsible for defining whether information occurred falls under the definition of Inside Information. The other disclosure requirements of the Company concern, among others, invitation to the general meeting, proposals by the Board of Directors or other for the general meeting, issuance of shares, changes in the Board of Directors or management of the Company, change of the auditor of the Company, share based incentive plans, transactions between the Company and its related parties, purchase or conveyance of Company’s own shares. The Company discloses information related to the abovementioned matters as soon as possible. (iii) the Company is able to ensure the confidentiality of that Inside Information. (vi) the information is related to a previously disclosed transaction requiring approval by authorities. In these situations, the disclosure of additional conditions imposed by an authority may be delayed if the disclosure might jeopardize the transaction. (iii) the information Company intends to delay the disclosure of is in contrast with the market’s expectations, where such expectations are based on signals that the Company has previously set. The possibility to delay public disclosure does not apply to the duty to issue a profit warning, therefore a profit warning shall be issued as soon as possible. The Board of Directors of Suominen, and in urgent cases the President and CEO, shall make the decision on delaying the publication of inside information. The decision on the delaying the publication of Inside Information shall be documented and a case specific insider register shall be set up for that purpose. The Company follows the fulfillment of the requirements for the delay of disclosure and shall publish the delayed Inside Information as soon as possible when the requirements are no longer met. Inside Information shall not be published if the project concerning Inside Information expires. The Finnish Financial Supervisory Authority will be informed about the postponement immediately after the final announcement has been made. Justification on the fulfilment of the requirements set for the delay of publication of Inside Information shall be stored for 5 years and delivered to the Finnish Financial Supervisory Authority by request. Suominen’s Board of Directors publishes financial outlook as part of the Company’s financial statements release which includes managements’ estimation for the net sales and operating profit (excluding non-recurring items) for the then current financial period. The outlook is published also in connection of each interim report during the financial period. Suominen does not publish outlooks for individual quarters. The financial outlook is based on Company’s estimation regarding the development of net sales and operating profit and managements’ view of the market situation. The financial outlook is primarily published in verbal form (forward looking statement), not as a figure form forecast. Suominen reserves the right not to publish financial outlooks in exceptional circumstances. If Suominen’s financial results during a financial period deviates in an unexpected and significant way from what could reasonably be expected based on information previously disclosed by the Company, the Company shall publish updated financial outlook as a stock exchange release as soon as possible. The Company’s most significant risks and uncertainties are also described in the financial statements releases and interim reports. Customer agreements are generally frame agreements and their purpose is to steer operations. The deliveries pursuant to the agreements may not materialize. For confidentiality reasons Suominen does not generally publish details from customer agreements unless the agreement or other matter related thereto constitutes Inside Information. Transactions which are estimated likely to have significant effect on the price of the Financial Instrument of the Company are published pursuant to the ongoing disclosure requirement and the rules of Nasdaq Helsinki Ltd. If Inside Information, of which disclosure has been delayed by the Company, has leaked prior to the disclosure thereof, Suominen publishes such information without delay. Suominen does not comment market rumors. If the management of the Company estimates that the market rumor is likely to have significant effect on the price of Suominen’s Financial Instrument, Suominen may consider publishing a release to correct incorrect or misleading information and to provide correct information in a non-discriminatory way. In a situation where the market rumor explicitly relates to Inside Information the disclosure of which has been delayed, the Inside Information shall be disclosed as soon as possible when the rumor is sufficiently accurate to indicate that the confidentiality of that information is no longer ensured. By request of Nasdaq Helsinki Ltd., the Company publishes information in such special circumstances that results in substantial uncertainty regarding fair and orderly trading in or the pricing of the Financial Instruments of the Company. In crisis situations the local management of Suominen’s business units commences crisis management procedures, including communication procedures. In case the management of the Company estimates the situation so serious that it is likely to have significant effect on the price of Suominen’s Financial Instruments, the responsibility of communications is transferred to Suominen Group Communications function and a stock exchange release shall be published as soon as possible. The Company regularly organizes investor meetings in connection with publishing of its financial reports. In addition, investors are met in connection with meetings organized by the Company or others. Suominen’s silent period commences 30 days prior to the publishing financial statements release or interim report and ends on the date publishing thereof. No investor meetings are organized during the silent period nor are the Group’s financial results or development commented. The stock exchange releases are published through Nasdaq Helsinki Ltd. in Finnish and English language and simultaneously delivered to major media. The Company publishes releases also on its website as soon as possible. The interpretation and application instructions related to this Disclosure Policy are provided by: President and CEO or person nominated by him/her.